At Mount Pleasant park, you’ll find this adorable Pandora cherry tree. 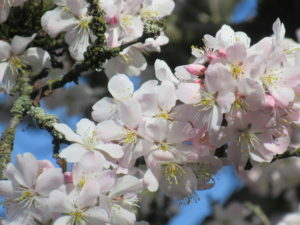 It has small blossoms with just a hint of pink at the tip of the petals. 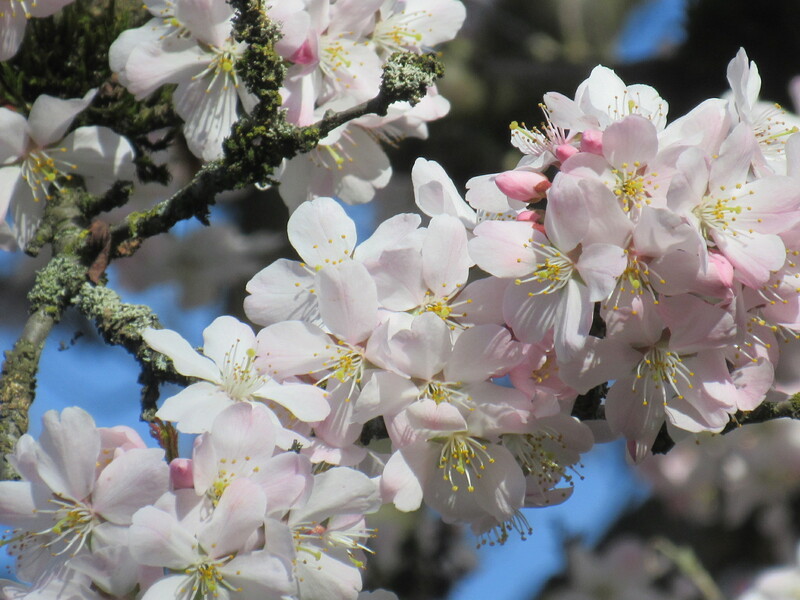 Did you know Pandora cherry blossoms don’t lose their petals? It’s the whole flower that falls to the ground. Check on the grass and you’ll see them. Mount Pleasant Park is located at 15th and Manitoba, but there are plenty more Pandora trees around the city. Use the neighbourhood map to find them.